There are plenty of researches about EI which have focused on EI and strategic decision making, management capabilities, transformational leadership, managerial traits, personality dimensions. This chapter is putting forth the relationship between EI and managing conflict by theoretical research. 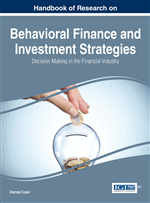 In the chapter the authors firstly reiterated the theoretical studies, state the necessity of having high level of EI for accomplishing the decision making process and discuss the relationship between EI, managers and managing conflict. To conclude, the authors state that managers having high EI can understand and evaluate the conflicts among employees and encourage their followers in struggling; with comparison to the ones having low EI. As a result of globalization, it is required for all managers, administrative officers and even employees to have high level of EI for accomplishing the decision making process to contribute to the success of long term strategy planning and implementation process. There are plenty of academic studies supporting that managers who have high level of EI can make good decisions. As it is emphasized in Doğan and Demiral’s study, it is not enough to have employees who have high level of IQ or technical and mental talents to be able to increase success, provide efficient and productive performance, and create customer satisfaction. Besides, organizations need to employ emotional and social individuals who can know or manage their own emotions, and also understand what others feel (Dinçer et. al., 2011). The necessity of innovative management strategies and also employees who are open to innovations has been started to be more of an issue for the companies in the competitive environment emerged by the impact of globalization factor, because dynamic changes and developments in the field of technology owing to this fierce competition affect almost all sectors seriously. In short, organizations should renew employees’ work processes and methods taking either internal or external needs or expectations to become a dominant player in the market. To this respect employees need to be motivated in terms of all work conditions to search out new work methods or generate new ideas including innovative approaches. Thus, it will be easier for them to present their innovative work behaviors accordingly. The original exploration of this chapter is putting forth the relationship between Emotional Intelligence (EI) and managing conflict by theoretical research. This paper is organized into four sections and proceeds as follows. We first carefully reiterated the theoretical studies. Section 2 shows background and literature; section 3 discusses the relationship between Emotional Intelligence (EI), managers and managing conflict; and finally section 4 concludes the study. Manager: Manager is the person who provides maximum results by minimum effort thereby providing the most happiness, wealth to employers and employees; besides he performs these by convincing people to cooperation in the cause of reaching a common aim. Change Agent: Change agent defines starting, managing change. Effective individuals have characteristics such as high self-confidence and impressiveness, dependency and motivation. Emotional Intelligence: Emotional Intelligence is a skill of perceiving, understanding, using and regulating own and others’ emotions so as to develop personal and social relations; moreover, overcoming problems.